First and foremost, please be reminded that although your reservation was final and non-refundable since you did not accept the trip insurance offered during the sales call, you stilll were refunded in full before we received your review. Your claim that you were unaware of the resort preview is not correct as our representative went over the eligibility requirements both verbally and in writing, and you agreed to same with your electronic signature when you booked your dates. 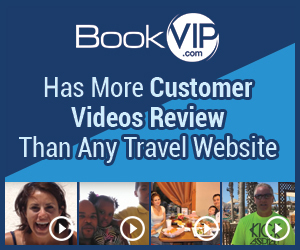 The reason we have over 3.8 Million Facebook Likes, 26,000 customer video testimonials and have sent over 100,000 people on vacation this year alone, is because we are the worldwide leader in promotional packages - that's our specialty. If you meet the resort's requirements and agree to attend the resort preview, you will up to 80% off the retail rate. Took my money and won’t book the trip I want. Huge scam reported to my cc company and they are going after my refund. Changed trip and told me I would do 90 min time share at hotel but now say have to travel to other resort for meeting. Review #1267042 is a subjective opinion of SaneGar.